What does Dustin Hoffman, who grew up a totally assimilated Jew unaware of his roots, have to do with Yom Kippur? Even he might be surprised by the connection I’ll attempt to draw. Hoffman, of course, has disappeared into countless characters. The clueless Benjamin Braddock in The Graduate. Down-and-out Ratso Rizzo in Midnight Cowboy. A grad student who gets entangled with a Nazi war criminal in Marathon Man. Carl Bernstein in All the President’s Men. Raymond Babbitt a person with autism in Rain Man. Michael Dorsey and Dorothy Michaels in Tootsie. But Hoffman adopted a new role this past year at the conclusion of the PBS program Finding Your Roots when he was overcome having learned about the grandfather he never knew––who perished after returning to what is now Ukraine to try to save his family from ongoing pogroms–– and particularly about his great-grandmother, who survived a Soviet concentration camp and made her way to the U.S. at age 64. Hoffman called the ancestor whose saga he had never known a hero. Now let’s suppose I am a Jew––in fact, a proud one––but I don’t really live as a Jew. Then comes Yom Kippur and the yearly question tugging at my heart: What should I do? Why should I go to Synagogue if the reality is that I don’t go the rest of the year? If Judaism doesn’t believe in quick fixes, how will two hours in shul matter? Does an all-powerful G‑d really need my prayers and, at that, in broken Hebrew? If we are supposed to get real on this awesome day, why "fake" my Jewishness? Millennia after receiving the Torah, Jews are still consumed with concern about what our Father thinks, wants and desires from us. We spend inordinate amounts of time, energy and resources pursuing and arguing about how we should serve G‑d. How should we observe the Sabbath? 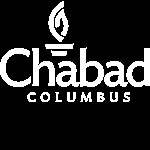 What should our synagogues be like? What level of kashrut does G‑d desire? Is fasting on Yom Kippur important? But here’s the magic. Here’s what is mystical. Even if we have no answers …even if we are not observant, the Day of Atonement beckons to us. We feel a need to doven together at synagogue. Some perceive that pull merely as guilt, but I see it as something transcendent. It is as if even the most unlearned among us senses the teaching that on Yom Kippur the highest level of our souls (yechidah) is revealed.